Are you looking for hacks that can help add money to your savings or emergency fund? The great thing about money-saving hacks is that the hacks can help any individual save more money in a fun way. Since paying down our last credit card my husband and I have used some clever hacks to help us stay on budget and to actually make more money to put toward the debt. This post will share some money-saving hacks that can help you save more money and make more money this month. One of the best ways to save money and get cash back is by signing up and using cashback apps such as Ibotta and Ebates . Ibotta: Ibotta is a free mobile coupon app that lets shoppers earn money back on select products by performing easy tasks and purchasing products that you normally would. After you purchase the products you just have to submit your receipt from your purchases to earn cash back on selected items. I really love Ibotta because anyone can earn money back from items that they already buy at grocery stores such as Jewels, Walmart and Target. Ebates: With Ebates if you shop online this app is a must-have. When you shop online through Ebates you can earn cash back from the items you purchase at your favorite stores suchas Macy’s, Target and JcPenny’s. Currently, if you sign up for Ebates you will get $10 just for signing up. 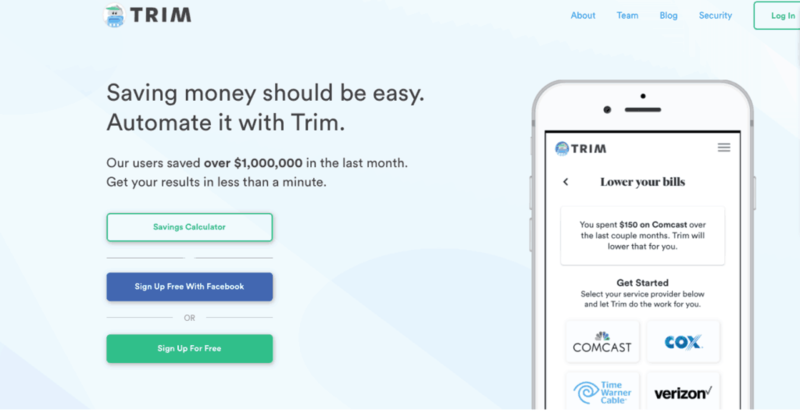 Trim is a financial management service that enables you to achieve your financial goals through personalized recommendations and savings opportunities. This app makes it super easy to save money in places that you might not have thought about before. With the Trim is comes with top-notch security and has a 256-bit SSL encryption, two-factor authentication, and read-only access. Trim also analyze your accounts to find recurring subscriptions and determine where you can save more money. I love this app because it will cancel unwanted subscriptions and negotiates with companies such as Comcast, Time Warner, Charter, and more to find the best rates and prices for you. Click here to check out Trim! The cash envelope system helps individuals stick to a weekly and monthly budget. With this system, you will put your expenses into envelope categories such as gas, food, entertainment/fun, groceries and more. After each paycheck, you put a certain amount of money in each envelope category and only spend the amount you put in the envelope until your next payday. This method helps with staying on budget and also helps with not overspending. Some of the best free DIY cash envelopes I have seen are from Thinking Closet! Her DIY cash envelopes make it super easy and fun to budget each month. If you are looking for envelopes that are already ready to go check out these. One of the best ways to save money and stay on budget is by using free budget printables online. 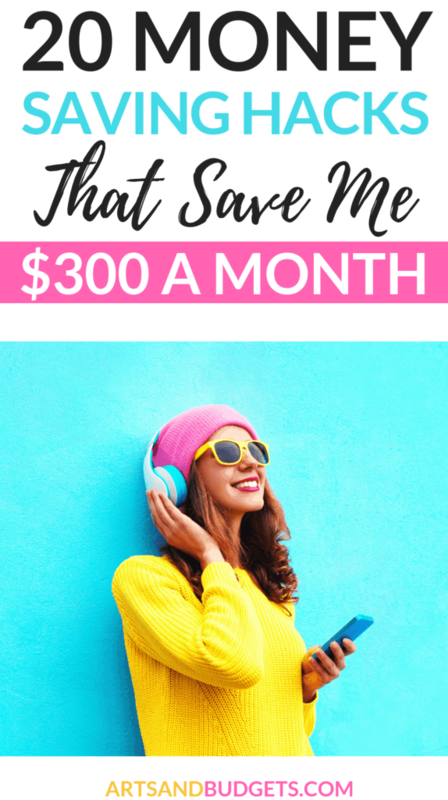 I have a set of budget and side hustles printables that will be available May 1st but in the meantime, you check out a list of free budget and money-saving printables by clicking here to help get on a monthly budget each month. One way I make extra money during my free time is by completing different tasks on websites like Swagbucks. 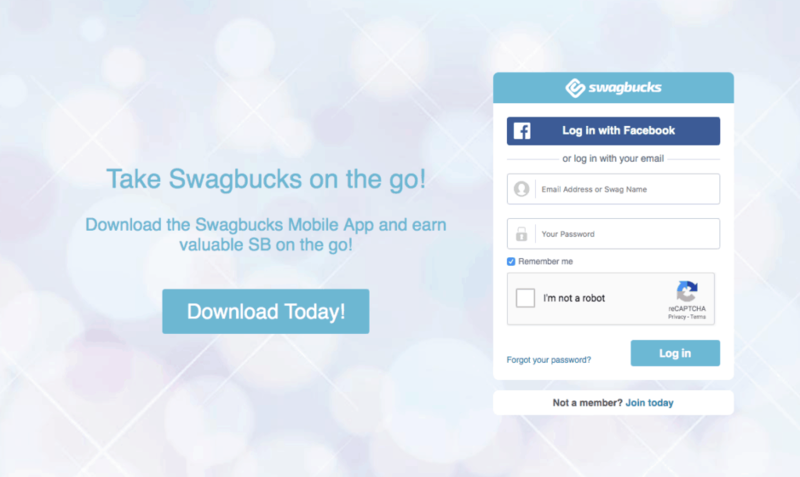 With Swagbucks you can make money just by doing simple tasks online such as watching short videos, completing surveys, shopping online, referring your family and friends to the site and more. Swagbucks is one of my favorite ways to make extra money online and currently I make an extra $200+ in gift cards per month just by completing tasks on the website and referring my friends to the site. So, if you have free time and looking to make extra money that you can actually save or put towards gas you can totally join Swagbucks and other awesome survey sites. This text service is a financial assistant that constantly monitor your transactions and helps you find ways to save money, cut expenses, and understand your spending. This app helps you spend less time worrying about money and more time enjoying life. You can either sign up through text message or through your Facebook messenger to get daily reminders to help you save money. On average the Charlie text service helps individuals save $80 per week. This text service has been seen on The Penny Hoarder, HuffPost, Insider and more.Check out Charlie by clicking here! If you are looking to make extra money to put into your savings you can sell unwanted items around your home. One of the quickest ways to make extra money is by selling items such as old books, phones, computers, and other electronics. My husband and I have sold unwanted items from our house on places such as LetGo, Gazelle, Swap, and Offerup. You can also sell unwanted books online on websites such as Bookscouter & Cash4Book and get cash back. Lastly, you can sell things such as old CD’s, phones, DVD’s and games on places like DeCluttr. This site will buy your old items and you will get cash back! I absolutely love the Honey Google Chrome extension app. This app is the number one shopping app and helps individuals save money on everyday purchases. It’s free and makes sure you always have the lowest price online. If you shop online this app is a must-have. Check out Honey by clicking here! Did you know you can get a ton of free birthday meals and treats during your birthday month? Last year my husband and I signed up for different reward programs from places such as Red Robin and Culver and received birthday meals and treats. Last month my husband got a free meal for being apart of Red Robin’s reward program and didn’t have to purchase anything or pay a dime. So, if you are looking to save money on meals and treats during your birthday month totally check out and sign up for some of my favorite places to get birthday treats and meals below. If you have a baby on the way did you know you can get up to $500 in free baby stuff? When I got pregnant with my first son I got a ton of free baby stuff just by signing up for different companies such as Medela, Walmart and Target. When you sign up for the companies they will send you a ton of free stuff including diapers, baby clothes, formula and more in a welcome box. This is great if you are looking for items to add to your baby collect before the baby arrives. Click here to find a list of places that offer free baby samples and boxes for new moms and moms that are pregnant. 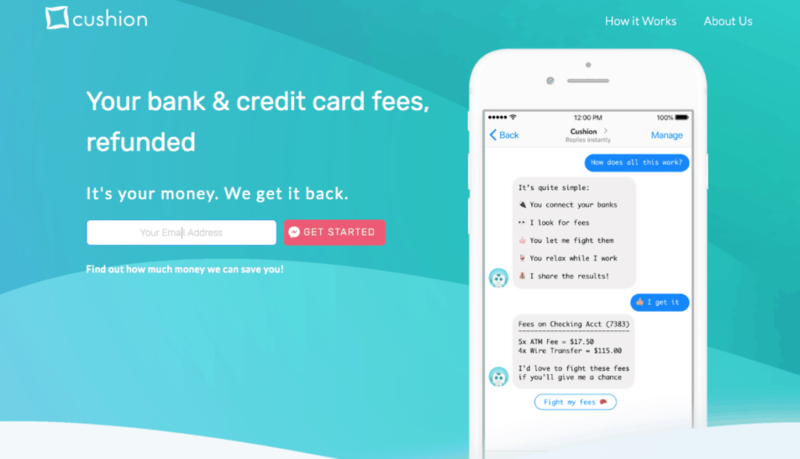 Cushion is an amazing app that helps you get a credit card and bank fee refunded. This app securely connects the credit card or banks that you use most frequently. Cushion’s bot which is called, Fee Fighter find any bank fees such as late charges and request your permission to fight them. After that, the app negotiates with the bank to get your money back from the late charges. Within’ 24 hours the app will send you a summary of your refund. Click here to check out how awesome Cushion is and how you can get refunds! Another way that I save money throughout the year is by buying clothes out of season. For example, at the end of each season department stores marked down items as they prepare to bring in new clothes for the next season. So, if you are approaching the end of the winter season you totally load up on a ton of winter clothes for almost half the price in different stores such as Target and Walmart. Right before each season is about to end take a trip to the mall and see what type of clothes they have on sale and complete your wardrobe. Another great way to save a ton of my money is by buying holiday items at the end of that holiday season. Have you ever noticed at the end of the Christmas or Valentine seasons that a lot of items such as decorations and candy go on mega sale? If you haven’t normally at the end of each season departments stores such as Walmart and Walgreens have to get rid of the items of the holiday that just ended really fast to prepare for the next holiday. So, as a result, they marked down most of the items about 50- 80% off which makes most of the decorations and leftover candy super cheap and affordable. If you are looking to save money totally hit up Walgreens and other departments stores once Christmas and other holidays are over to get decorations for the next year. Have you ever tried a no spend a weekend to save money? This hack is amazing if you are looking to challenge yourself and save money during the month. Also, if you need to save money pretty fast doing a no spend challenge will help you achieve that goal. With a no spend challenge, you basically refrain from spending any money at all for a certain amount of days. For example, if you decide to do a no-spend challenge for 7 days you will go a total of 7 days without spending any money. Most people do this challenge with their family or friends to help hold each other accountable. I can’t tell you how many times shopping at the Dollar Store has saved me so much money when I am planning a birthday party or an event. When I start to plan out an event I normally write down items that I can buy at the dollar store to save money. If you are looking for the best gas prices around your town with the best rates check out Gas Buddy. With this app, it helps you find the lowest prices for gas in your area when you put in your zip code. You never have to pay full price for gas with this app because it always finds the cheapest places to get gas in your area. I also loved that you can access this app right from your phone on the web. Since my husband drives a lot I thought this app would be perfect to help us save money on gas every single week. If you are looking for a great budget the Every Dollar App is a must-have. This app helps you create a budget to help you achieve your money goals quickly. When you sign up you can create your new budget in as little as ten minutes. My husband and I absolutely love this app and love all the amazing features that it offers that help us stay on budget and save money. Check out Every Dollar by clicking here! If you are going out of town check out places such as Hotwire to find some of the best plane ticket rates. Per Business Insider I found out that the best day to purchase plane tickets is on Sundays. So, to save money try buying your tickets a few months in advance and look to purchase tickets on Sundays. I normally like to look for plane tickets about 2 to 3 months in advance to save money. You can also check out the Hopper app to find some of the best deals on airfare as well. If you are looking to save money at the grocery store check out grocery stores apps such as Walmart Grocery Shopping, Flipp and Krazy Coupon Lady: Save Money to save money on everyday purchases.